← Butterflies, Seattle and Calgary, eh! I’m sharing a very fun set of cards today, that were way out of my comfort zone! As in, I couldn’t believe I would attempt something like this (or dare to share!) 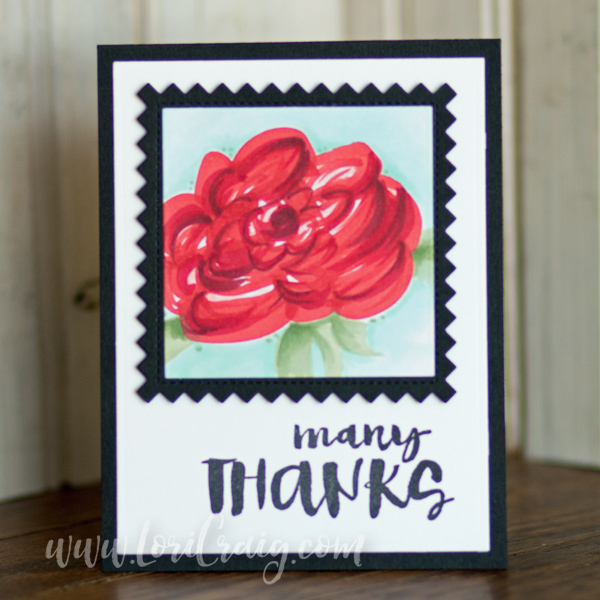 because the roses weren’t stamped, they were drawn by me… freehand…and not with a pencil first but with Copic Marker! I always told myself that I couldn’t draw or paint because everything didn’t come out of the pen looking like someone else’s masterpiece the very first time. I would say that I didn’t get the artist gene, but I never did much to explore or give it a chance either. More and more over the last few years of diligent observation and study, I’ve started practicing and drawing and painting for my own pleasure, not for anyone else’s expectation or critique. Surprise: I like it, and the more I practice, the more I enjoy it. 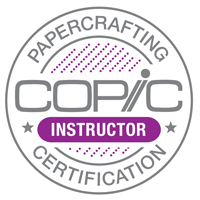 This past winter I took an incredible watercolor class from Online Card Classes. The class was called Watercolor – Intermediate Techniques, but I hadn’t taken any classes previous, and I was able to keep up! I learned so, so much about so many different aspects of art and watercolor. 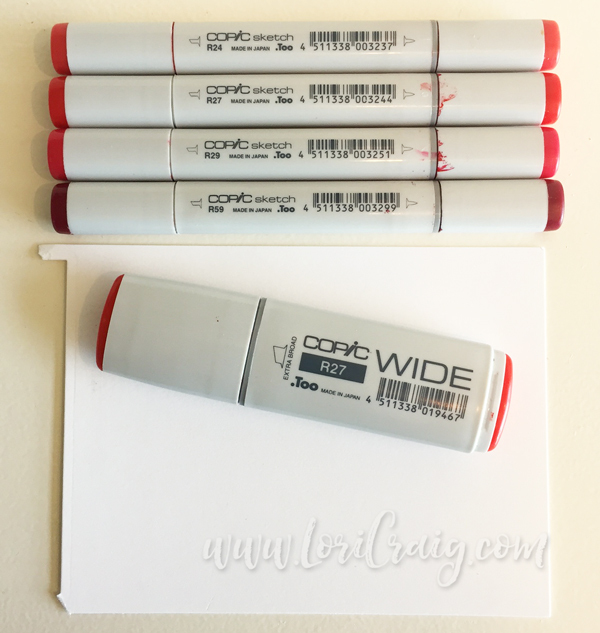 There were many concepts that I have adapted to other mediums, especially Copic and how I use them. Today’s set of cards are one of those things. The card above was one that I created for my class homework using watercolor and one brush with a combination of wet-on-wet and wet-on-dry watercolor technique. 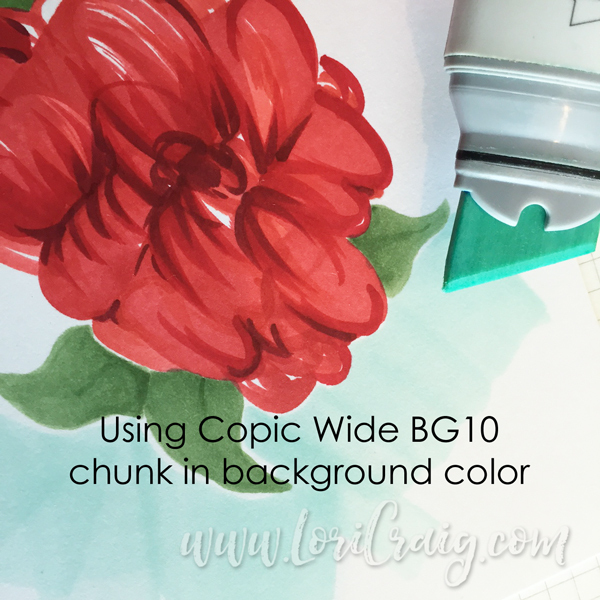 I used Windsor Cottman watercolor paints and Arches 110# Cold Press paper. I am well aware that I need more leaf practice, but I was very, very happy with how my free-brushed roses were turning out with a little effort. So on Saturday night, as I watched the NCAA basketball tournament (sad for my Kansas Jayhawks, #goBig12), I was thinking that it would be fun to try the same idea with my Copic Markers. 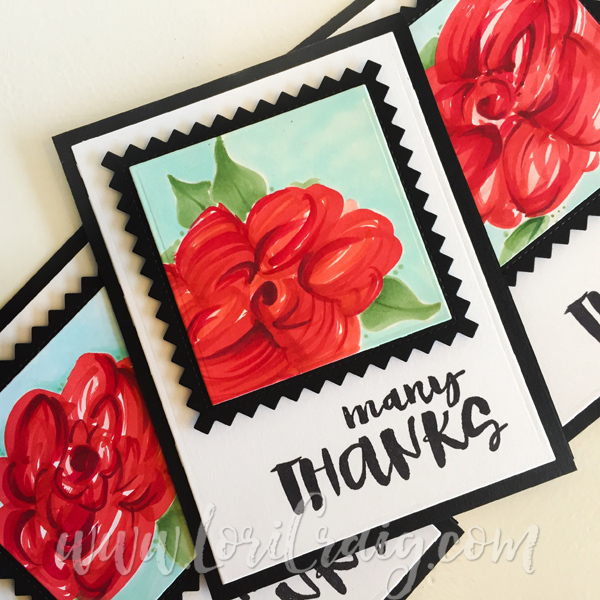 For these cards, I used a Copic Wide R27 and a series of natural blending reds in the Sketch style marker to create my roses. 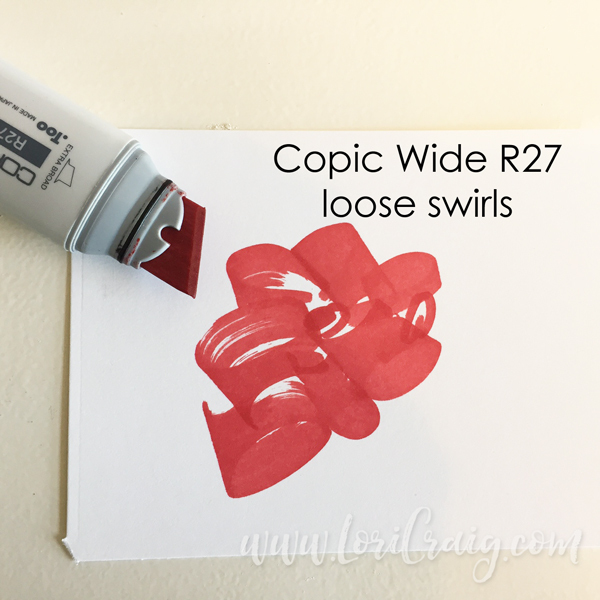 I started with the Copic Wide R27 marker and looped in some loose swirls to create the bulk of the rose bud. Tip: Leave some white space from the beginning. Then I used the brush nibs of the R29 and R59 Sketch to add some texture, shading and depth to the individual petals. A lot of my highlight white space gets worked over, and that is fine. At the end, I do come over the top with an R20 or R21 to dust the highlights so they aren’t stark white. I worked these over a few times to build layers of color. 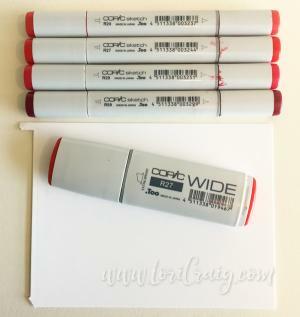 The trick to this step is to let the marker completely dry between colors. Wet ink blends, and in this case, I don’t necessarily want smooth blends. I wanted to see my brush strokes. 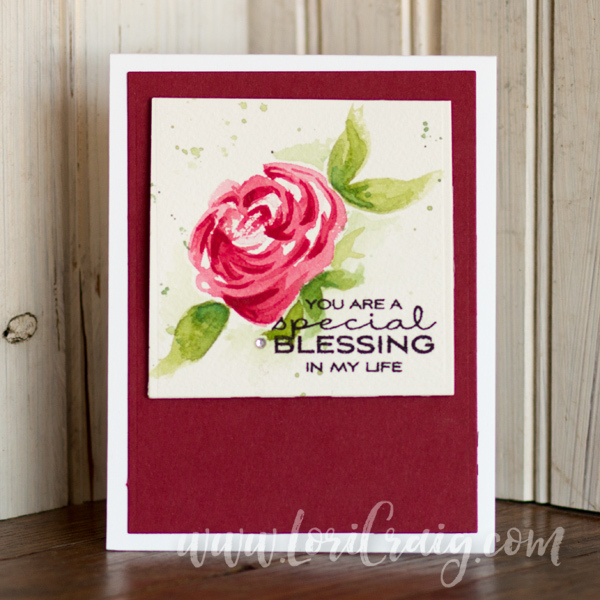 When I was pleased with my rose blooms, I added some hand-drawn leaves with G21 and G24. And, then I used a Copic Wide BG10 to chunk in some background color. Even with the wide marker, it is possible to get into the nooks and crannies of an image with that fine, chisled point. As simple as they look now in pictures, I’m proud of how these turned up… No two are alike, but they are expressive, bold and fun! Something totally out of the box for me! I often tell people in my classes that one of the things I love about these markers is that you can’t outgrow them, always something new to learn! So true! Leaves are something I want to keep practicing. 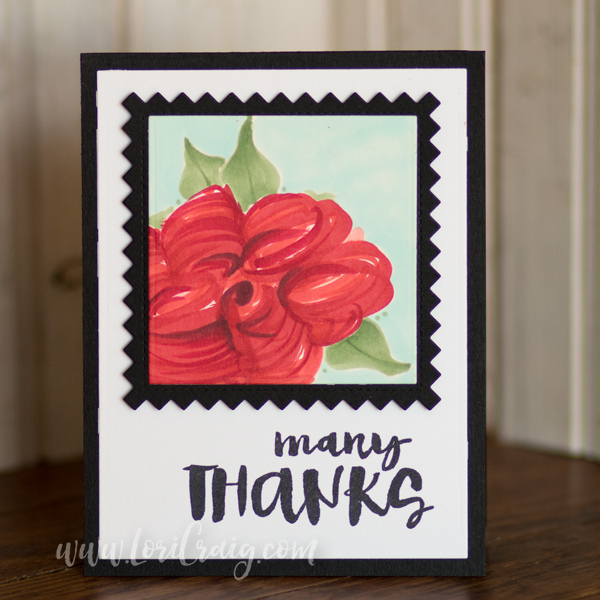 I can’t wait to try these roses in a few other colors… yellow or oranges! I’ll be sure to share when I do! 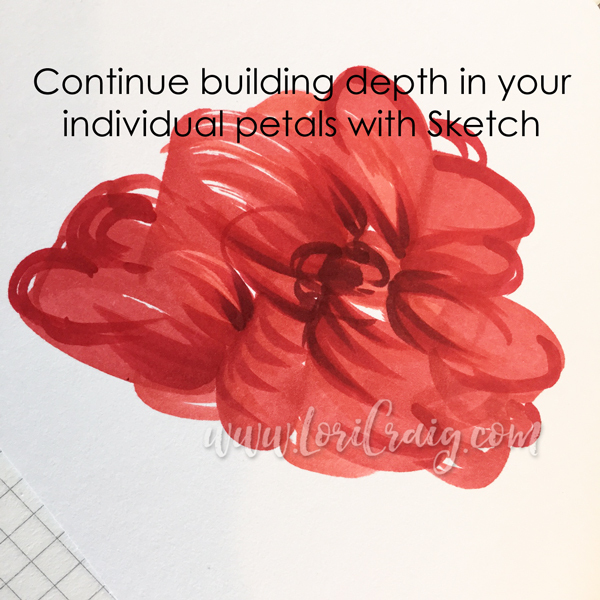 This is one of my favorite projects I’ve shared in a long time, and not because I think these flowers are so stellar, but because I see progress through practice. Creativity doesn’t divide but multiply, finding new expressions in everyone inspired by someone else’s gift. We can draw from our favorite writers, artists, musicians, thinkers, leaders, teachers; they sharpen and stretch us, laying pavement for our own gifts, offering possibility and permission to be even better versions of our own creative selves. No need to feel threatened or minimized by someone else’s amazing talents. There is no scarcity in creativity and art and beauty. It all feeds the same river which has no end, no threshold, no limits. I’m blessed to draw inspiration from a world of favorite artists and teachers. 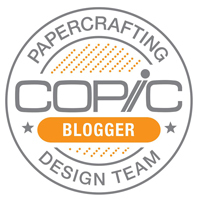 I hope you are inspired to try something new… something out of your normal wheel house! I know you’ll learn something, and I am positive you’ll surprise yourself! 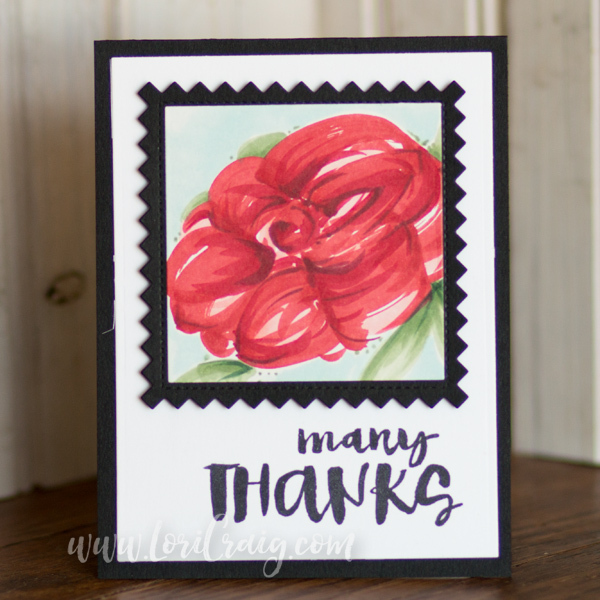 Tomorrow I have two fun cards from one of my favorite newer stamp companies to share, so stop back by! Have a beautiful day! This entry was posted in Copics. Bookmark the permalink. 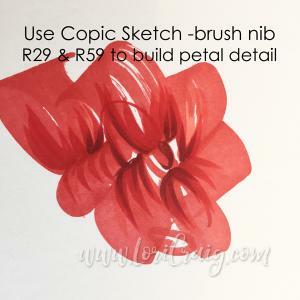 This is gorgeous, Lori — I will definitely be trying! Okay…we need to have a chat. SERIOUSLY! These are amazing…no way would I have ever thought your had drawn these. I am amazed…Love, love, love. 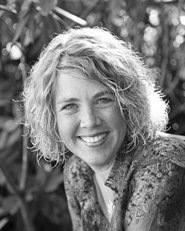 And thank you for including Jen Hatmaker’s comments. I appreciate you! You did an amazing job, pat yourself on your back. I need to consider going out of my comfort zone, easier said than done. Pretty stuck in my ways. Hope you are having sunshine, it always makes the day better.